How to use RefWorks to manage your citations and generate bibliographies. New Version of RefWorks Available! Try out the new version of RefWorks! See the "New RefWorks" information at this library guide: RefWorks - Versions: Legacy RefWorks and New RefWorks. To sign up for a new account, click here. You can also use the RefWorks button on the Libraries' website to get to the sign up page. Follow the instructions to sign up for an account. 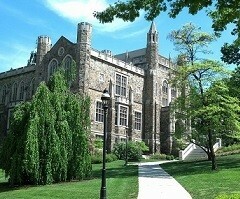 We highly recommend that you use your Lehigh Credentials (your email address and password) as your username and password. 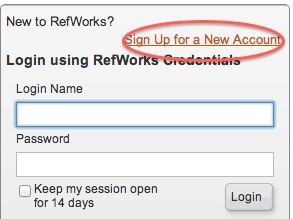 Once you have signed up, you are ready to start using RefWorks. You will receive an email confirmation for your records.